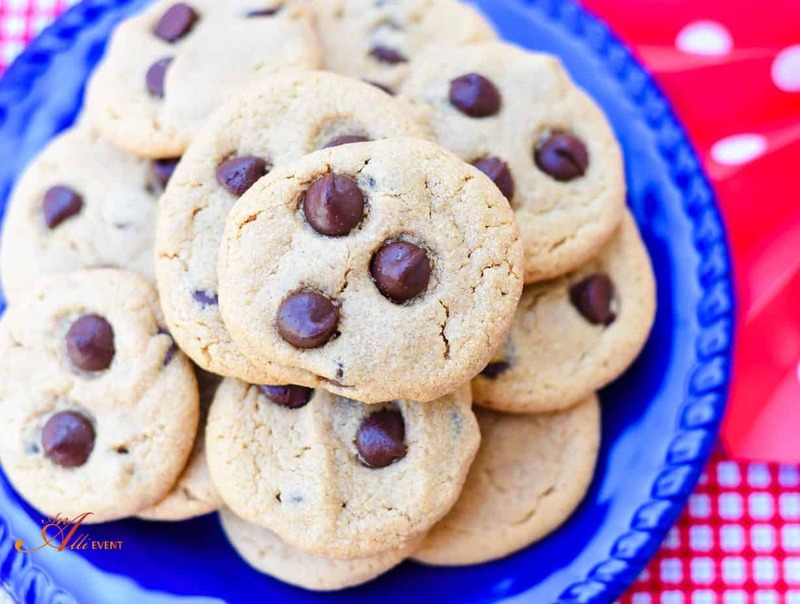 Do you like soft, chewy cookies or cookies with a little snap to them? I like cookies that have a tiny bit of snap. I’ve never cared much for soft cookies. To me, a soft cookie is just a mini cake with no frosting. 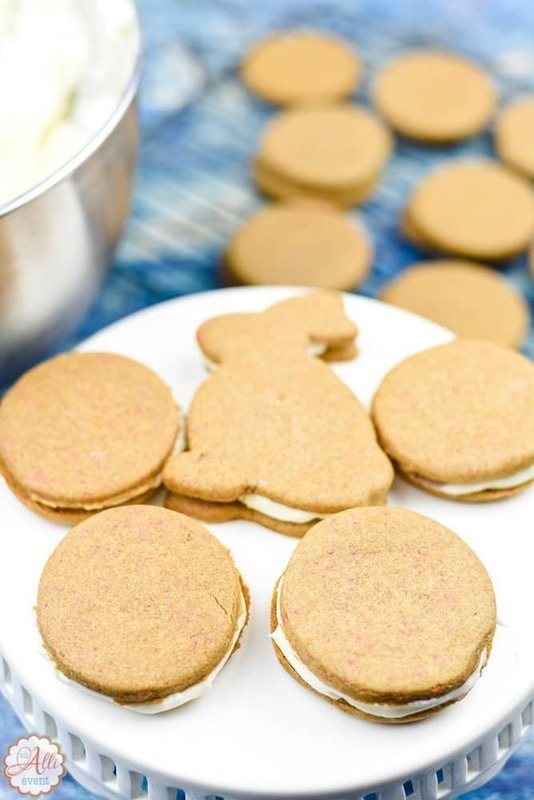 These Easy Carrot Cake Sandwich Cookies have a snap and they are delicious. These Easy Carrot Cake Cookies might not be the most colorful cookies I’ve ever made. I mean, hello there, you plain-looking cookies. Don’t let these cookies fool you. I betcha can’t eat just one. After creating delicious Red Velvet Sandwich Cookies, I decided to try making cutout sandwich cookies with a carrot cake mix and the same cream cheese filling, because, well cream cheese is my favorite frosting/filling/whatever. And, you can’t have a play on a carrot cake without cream cheese frosting. Did it work? You better believe it. I always try out new recipes on my family. They are brutally honest, in a nice way, of course. We are southern and I did teach them manners. After tasting these cookies, my grown kids were quick to see who could call dibs the fastest on leftovers. You’ll need a carrot cake mix, one egg, and 1/2 cup butter. Mix well with an electric mixer until the mixture forms a dough. Let the dough rest in the refrigerator at least 20 minutes. Roll out the dough and cut with a small round cookie cutter. 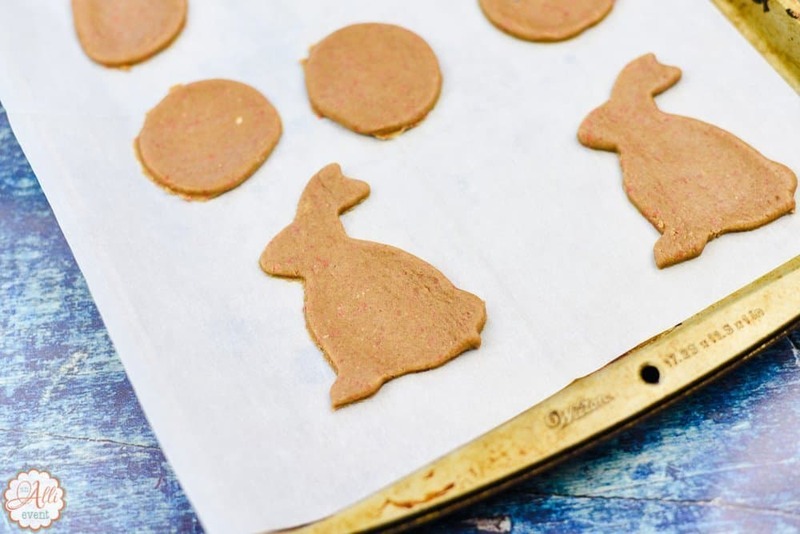 I also used a rabbit cookie cutter to make a few for the grandkids. Bake at 350º F for eight minutes. Cool for one minute and place on cookie racks to cool completely. When the cookies are completely cool, frost 1/2 of the cookies with cream cheese frosting and top with the other half of the cookies. Helpful Hint: Instead of making a sandwich cookie, you can top each cookie with the cream cheese frosting. For me, a sandwich cookie is less messy. If you use a small cookie cutter, you’ll get lots more cookies, of course. Combine the Carrot Cake Mix with the egg and butter. Mix with an electric mixer until it forms a dough, about 2 minutes.Refrigerate the dough for at least 20 minutes. Remove 1/2 of the dough and roll out to 1/8" thick. Cut with a round cookie cutter. Be sure to combine the strips of cookie dough that are left and re-roll. Place cookies on a parchment lined cookie sheet and place in the refrigerator while you roll out the remaining dough. Bake at 350º for 8 minutes. Cool for one minute on the baking sheet placed on a cooling rack. Remove cookies to a cooling rack to cool completely. Mix the cream cheese and butter on medium until well combined. Add the powdered sugar and mix until light and fluffy, about 2 minutes. Place about 1-1/2 Tablespoons frosting on the flat side of a cookie. Top with another cookie, flat side down. Store in the refrigerator. I usually make a carrot cake when I have the entire family over for Easter. This time around, I’m thinking of making these cookies again. I don’t think I’ll get any complaints. These cookies go best with a tall glass of cold milk or a cup of coffee. Sandwich cookies are pretty much the best kind of cookies there are. 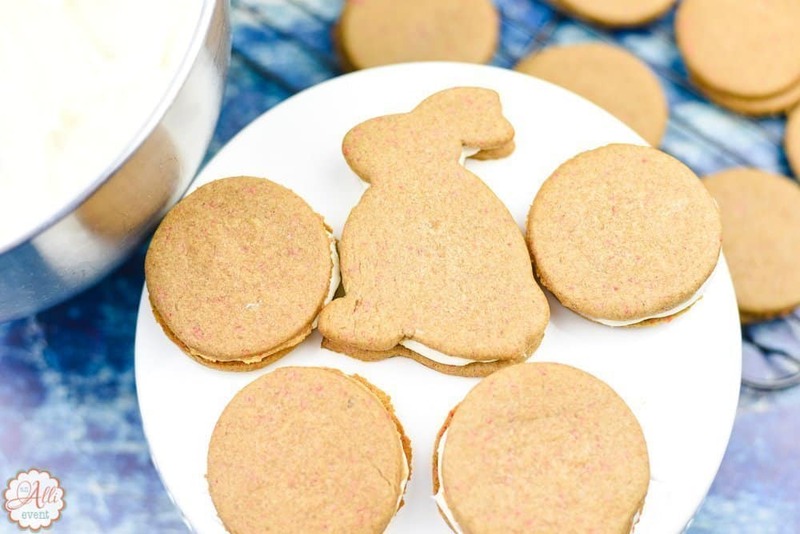 I have never had a carrot cake cookie before, though, so I am excited to make these. I love freshly baked soft cookies, they’re great at any time of the day. 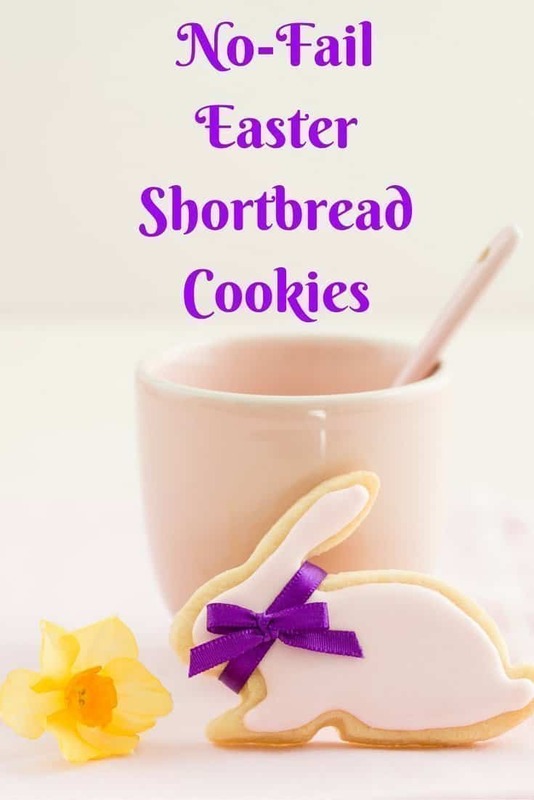 These cookies look terrific, they would be perfect for an Easter party. I’ve always been a fan of carrot cake, so I’m pretty sure I’ll love these cookies. Plus they’re cute! I love how you mentioned that these have a snap to them, I totally love those in cookies. I think this recipe is perfect for someone like me. Thank you! My daughter’s favorite cake is carrot cake, she has loved it since she was a toddler. I have never made cake sandwiches but these would be fun to make and yummy to eat too! 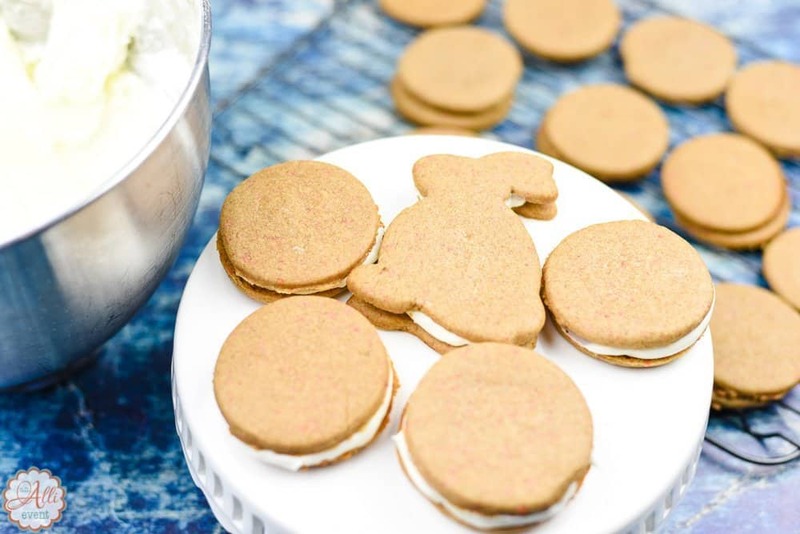 I have never tried carrot cake sandwich cookies before so this recipe is a really interesting find. I will have to make these. They’d be a great snack to take along to work. What a nice twist on carrot cake. I’ve never had carrot cake cookies before. I love that you topped with cream cheese frosting. I mean carrot cake and cream cheese frosting go hand in hand. What a fun take on carrot cake! I think my family is absolutely going to love these! I absolutely love this recipe! I have got to make some of these this weekend. I love those bunnies! So adorable and the carrot cake idea. I absolutely must try this soon. The impact of sporting gold could also be in comparison with those advantages attained by the individuals who do meditation and follow other relaxing methods. I absolutely love carrot cake but have never seen a cookie recipe inspired by it. 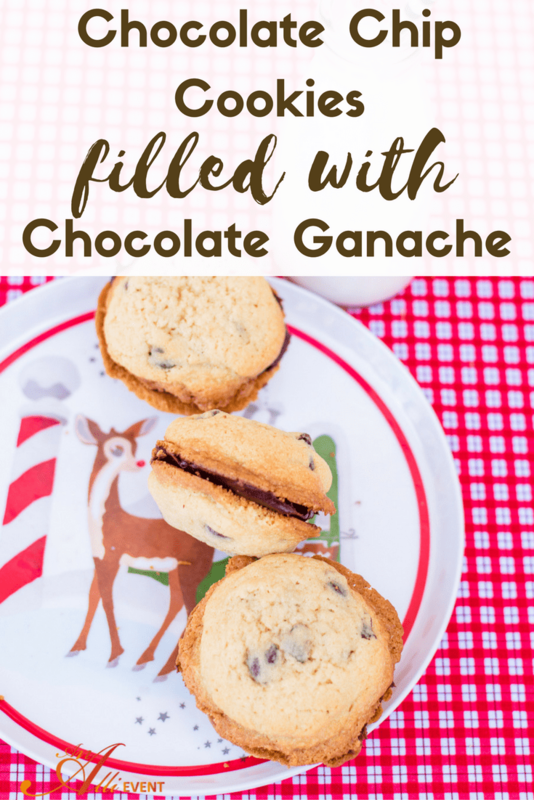 I can’t wait to try this recipe myself and maybe even bring some to Easter dinner! I love the fun shapes and so will the grand kids. I’ve been trying to find some recipes to serve them when they come t his weekend. I love that this recipe is simple because I’m going to be short on time. Carrot Cake is my fave. Good idea! Those do look tasty – could imagine a cinnamon cream cheese filling being good with this too. Oh this is so nice. Excited to make some! I would love to give this to my little cousins. They will love this for sure! I’ll make some over the weekends so I can bring it to our grandparents house. So many recipes to check out as well! Thanks for this! Awesome! These cookies will make the perfect snack for weekend party.